By the time your older cat reaches the age of 12, they are equivalent to a human in their mid-sixties. Cats in their senior years can develop health conditions and suffer from a range of ailments. However, they are all individuals and some older cats are very lively and enjoy excellent health. They also have very particular calorie requirements dependent on their current weight. Diet plays a huge part in keeping an older cat healthy. Many senior feline health conditions, including diabetes, kidney disease and obesity, can be partly controlled by diet. There are plenty of diets to choose from and your vet can advise on what would be best for your cat. 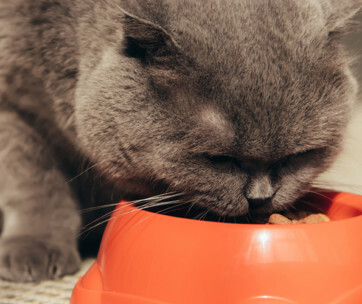 Here’s our pick of the best cat food for older cats to get you started. Prepared from the finest natural ingredients and based on the diet of the lynx, this mature dry cat food is both delicious and nutritious. This best dry food for senior cats can be served dry or mixed with warm water. This is a high protein cat food that contains a minimum of 38 per cent crude protein and that is also high in fat (14 per cent) so it delivers all the calories your cat needs. The protein is from high-quality sources namely deboned chicken, chicken meal and fish meal. The complex carbohydrates are delivered by easy-to-digest vegetables including peas, potatoes and sweet potatoes. Antioxidants are important to prevent free-radical damage in older animals and in this recipe, they are provided by carrots, blueberries and cranberries. This best dry cat food for older cats has a range of micro-nutrients to keep senior cats healthy including vitamins to support their immune system, taurine for heart and eye health and omega 3 and 6 fatty acids for healthy skin and coat. This cat food has been made to a carefully formulated recipe especially for cats over 11 years of age who live mainly indoors. 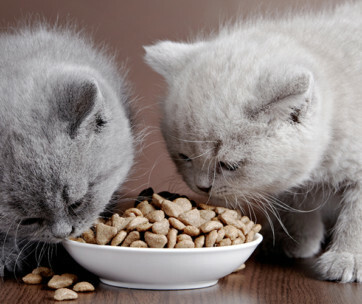 It has a taste and texture that will appeal to older cats that may have a reduced appetite. The protein content is a minimum of 35.3 per cent (provided by chicken) and the fat content is 19.8 per cent. Because it supports healthy digestion, it makes the litter tray a lot easier to clear up! There are also plenty of micronutrients including vitamins, zinc oxide and folic acid. Vitamins C and E support your cat’s immune system and there are other elements to support eye, heart, kidney and joint health. The combination of antioxidants and micro-nutrients defy the aging process and keep your kitty feeling young. There are no artificial additives to worry about. The primary ingredient of this healthy kibble is chicken which provides plenty of protein (34 per cent) for your senior cat to build strong muscle. It also has plenty of calcium to maintain healthy bones and joints and to keep the heart healthy. Cardiac health is also supported by the added potassium and the Vitamin E keeps your cat’s immune system in top condition. There’s double the level of antioxidants found in regular foods to combat the effects of aging. The added omega oils promote healthy skin and coat and the glucosamine and chondroitin sulfate keep the joints healthy and help with mobility. 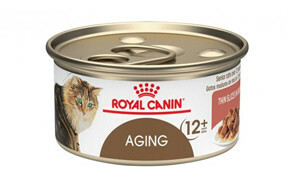 There are no fillers in this senior cat food so every mouthful does your cat good. Older cats can suffer from hairballs, weight control issues and sensitive stomachs and this food has something to help with all of those issues. The primary ingredients are deboned chicken and chicken meal which provide a protein content of 32 per cent. The Menhaden fish meal provides plenty of omega 3 fatty acids which reduce shedding and hairball formation. The wholesome grains (brown rice, oatmeal and barley), vegetables (such as peas, sweet potatoes and carrots) and fruit provide a carefully controlled calorie content that helps with weight control. The natural fiber content (5 per cent) helps promote healthy digestion. Cranberries and blueberries provide antioxidants to fight the aging process. There are no poultry by-product meals that could upset delicate digestion. 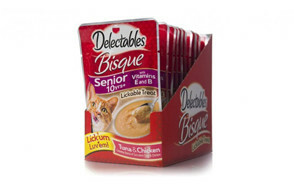 A treat that is suitable for ages but that will particularly suit senior cats that don’t have a great appetite. You can use it as a snack or as a food topper on regular food for fussy eaters. It is a liquid product that is delivered in sealed pouches. Thanks to the fish and meat juices, cats find it highly palatable and finish every last drop. It is not a complete food and can only be used to supplement your cat’s regular food. However, it does contain Vitamins E and B which are vital to support the health of senior cats. A moist cat food that is suitable for cats aged over 12 years. It consists of meaty junks in gravy. The meat content is provided by pork and chicken and there is a high water content to help with hydration. The thin, soft slices of meat are gentle on the teeth and gums of older cats. The nutrients are carefully balanced in this best wet cat food for older cats. It has added glucosamine, chondroitin sulfate and essential fatty acids to help with arthritis of the joints in older cats. Also, the phosphorus levels are reduced to help cats that have kidney problems. This is a balanced recipe to provide perfect nutrition for cats aged seven years or over who have indoor or outdoor lifestyles. It supports the health of older cats because 70 per cent of the content is made up of protein and fat and the remaining 30 per cent comprises carbohydrates, fiber, vitamins and minerals. The protein and fat are provided by animal sources (deboned fish, meat and poultry) which are both easy to digest and have a high fatty acid content. The carbohydrates (sweet potatoes and peas) have been selected because they will not upset delicate digestions. The recipe is fortified with a blend of vitamins, minerals, antioxidants and probiotics that suit the metabolism of older cats and promote healthy skin and coat and provide increased energy. To further avoid intestinal issues, there are no gluten ingredients, no grain and no artificial additives. Developed by veterinary scientists and animal nutritionists, this top rated senior cat food will suit cats of 11 years of age and older. It’s especially appealing to older cats who may have lost their appetite. It consists of meat and vegetable-based morsels in a thick and tasty sauce and comes in several flavors. High-quality nutrition is provided by the meat and fish sources of protein and there are added supplements to support the metabolism of older cats. The garden vegetables add further nutritional value and flavor. There are no artificial flavors or preservatives to upset delicate digestions. A blend of high-quality ingredients that are designed to prolong the life of cats aged over seven years of age and to give them the best quality of life. It contains high-quality protein provided by meat or fish to help build strong muscles. There are also plenty of omega oils to keep the coat, skin and joints healthy. The recipe contains prebiotic fiber that is derived from chicory root to help delicate digestions. There’s a high protein content to help build strong muscles. The omega 3 fatty acids are derived from fish oil and omega 6 fatty acids derived from soybean oil and they both support a healthy immune system to fight disease. An alternative version that is formulated specifically for cats of over 11 years is also available. A premium cat food that is designed to promote health in cats over seven years of age. 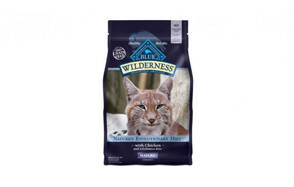 It comes in a range of tasty flavors to tempt older cats and has 28 per cent protein provided by chicken meal. To this is added a range of ingredients and supplements that have been carefully blended to promote health in cats of all ages. There are antioxidants including Vitamin E and C and taurine as well as superfoods such as cranberries and blueberries. These keep the immune system healthy and help to fight off the signs of aging. To maintain digestive health in older cats there are natural fibers and brewers rice which are easy to digest. To keep your senior cat’s coat healthy and to help prevent hairballs there are plenty of omega 6 fatty acids supplied by fish oil, sunflower oil and soybean oil. The Association of American Feed Control Officials (AAFCO) does not provide specific guidelines for senior cat food. Manufacturers have come up with different ways to meet the dietary requirements of this unique population of felines. Your vet will be able to advise you about any specific ingredients that should be included or excluded from your senior cat’s diet. The specific advice that they give you will depend on which, if any, chronic health conditions your senior cat has and on what their weight is. There is no single best cat food for senior cats because they are all different. Here are some of the things that you should look out for in the best senior cat food. Protein is essential for a senior cat to maintain their muscle strength so you may need a high protein cat food for your senior. Diabetes is common in older cats and this can be controlled to some extent with a high-protein, low-carbohydrate diet. However, other chronic health conditions, including kidney disease, may require your cat to have a lower protein diet. Whatever the level of protein your cat needs, always look out for a high-quality meat or fish source such as chicken or salmon. Cat’s don’t need huge quantities of carbohydrates and a low-carbohydrate diet is best for seniors with diabetes. Your cat may need very few carbohydrates if they are overweight or obese. Don’t just look at the percentage carbohydrate content. Check out the source as well. Easy to digest sources such as sweet potato suit the delicate digestion of a senior cat. These are useful for maintaining joint health in senior cats and will help to keep your kitty mobile and pain-free. They are often added as supplements to cat food for seniors. Chondroitin is found in cattle trachea and glucosamine is derived from shellfish. Antioxidants help the immune system to stay healthy and help to fend off the effects of aging. They are provided by Vitamins C and E and are present in high proportions in foods such as blueberries so look out for these on the ingredients list. Cats with kidney disease need food that has reduced levels of phosphorous to relieve the pressure on this important organ. Kidney disease is common in senior cats. Essential fatty acids, especially omega oils 3 and 6, are needed to keep the nervous system healthy in an older cat. They also keep the coat healthy which can reduce shedding and cut down on hairballs. Older cats can have a delicate digestion and need a gentle fiber content to help it function properly. This also makes their poop easier to clean out of the litter tray! It is important to remember that older cats may have dental and gum problems which can make it hard to eat crunchy food. This type of food may be great for younger cats because it can scrape off plaque and prevent gum disease. In older cats, however, there may already be some degeneration of the gums and eating can be painful. A wet food may be preferable. It is common for an older cat to lose their appetite and this makes them lose weight. You need to do all you can to coax them to eat and a highly palatable food packed with flavor is essential. Also, look out for a food that gives off an enticing aroma. You can make dried food smell and taste better for a senior cat by mixing it with warm water before serving. It can be a nuisance to transfer your senior cat onto a specialized diet, especially if you have other cats in the house that are eating different things. However, it is worth the hassle and there are several benefits. Here are some of the main ones. Some older cats are obese but others are underweight. By selecting the appropriate senior diet for your cat, you can be sure that they are taking on the correct number of calories per day. You can also be sure that every mouthful is packed with nutrients. By giving your cat a food that will help with energy levels and joint health, you are ensuring that they can enjoy an active old age and a high quality of life. The delicate digestion of senior cats often requires a special diet to avoid issues with constipation and diarrhea. The levels and source of fiber in the food are important. Obviously, you want to do all you can keep your beloved kitty at the heart of your family for as long as you can. With the right diet, they stand a good chance of living to a ripe old age. Senior cats often suffer from chronic health conditions such as diabetes and kidney disease and diet can help with managing these conditions. Diabetes requires a high protein/low carbohydrate diet but kidney disease requires a low protein and low phosphorous diet. When it comes to senior cats, appearances can be deceptive. Your kitty may look and act like a young cat but their body is facing all sorts of challenges. One of the main things that you can do to keep your cat feeling young and to prolong their life, is to give them the right diet. However, this is not as easy as it seems. A diet that suits one cat, may not be best for another. Ultimately, your vet is the best person to advise on a suitable diet for your cat. They will take their underlying health status into account along with any chronic diseases that they are suffering from. Here are the most common dietary requirements for the best food for older cats. Some older cats are obese whilst others are underweight. You must carefully match your cat’s total calorie intake with their weight. This will be required if they have kidney disease and this is a common complaint in senior cats. Senior cats need plenty of antioxidants to keep their immune system healthy and to fend off the effects of aging. These may need to be high for diabetic cats but lower for cats who have kidney disease. Cats who do not have either of these conditions need moderate levels of high-quality meat/fish protein to maintain muscle mass. All of the ingredients must be easy to digest as intestinal issues are common in older cats. This is useful to maintain muscle mass. Omega oils are essential for a healthy coat and joints and to counteract the effects of aging on the brain. Q: How much should I feed my senior cat? A: There is no simple answer to this as it depends on your cat. In general, they need around 50 calories per kilogram of their weight every day if they live indoors. However, if they go out a lot, they may need a bit more. Obesity is a common problem in older cats so you need to keep an eye on their weight. Q: Are there any supplements to help older cats? A: Giving supplements to cats is controversial and you should only do it if your vet advises you to do so. Some gastrointestinal problems in older cats can interfere with the absorption of vitamin B12 so your vet may recommend this supplement. On the whole, all they need is a balanced, senior diet. Q: My senior cat won't eat. What should I do? A: This is a common issue in older cats. Many of them become very fussy eaters and start to lose weight. The first thing you should do is to get them checked out by your vet. There may be an underlying medical cause for the lack of appetite. It could be something as simple as a sore mouth caused by gum disease but it could be much more serious. 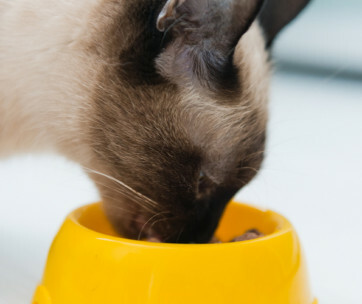 Once medical causes have been ruled out, you can set about coaxing your older kitty to eat. Make sure that the food smells and tastes great. Moist cat food may be more attractive to them at this age. You can make dried food more palatable by adding warm water. Heating up food to body temperature also makes it more attractive to cats. Finally, you could try adding a special food ‘topper’ cat food for older cats which is a delicious meat-based liquid or drizzling a little tuna oil or broth over the food. Our top pick of the best cat food for older cats is a high protein cat food with a minimum of 38 per cent crude protein derived from deboned chicken, chicken meal and fish meal. There are also peas, potatoes and sweet potatoes as well as antioxidants to prevent free-radical damage. It contains a range of micro-nutrients to keep senior cats healthy including vitamins, taurine and omega 3 and 6 fatty acids. How Much Should You Feed a Kitten?